Using Magnetic Resonance Imaging (MRI) can screen patients for alzheimer's disease effectively. MRI is non-invasive and cost efficient which may be useful to track and monitor the disease as well as observe new treatments for it. 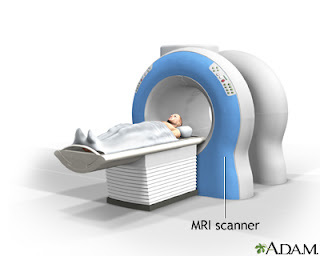 MRI is an imaging application that is usually used in the medical field. It uses magnets and radiowaves to construct an internal 3D image of the target. MRI has been useful throughout the years in imaging the human body in detail and can also be observed in real time. It tracks the magnetic field of atomic nuclei in the body and is then detected by a scanner that uses it to construct an image. MRI is also used to effectively image the human brain as well as detect neural activity within it through MRI based imaging techniques such as fMRI (functional MRI) and DTI (Diffusion Tensor Imaging). The new study on detecting Alzheimer's disease through MRI is an significant step for neurological research. Previous tests for the disease requires a cognitive assessment by the doctor through tests as well as a review of the patient's clinical history and neurological and neuropsychological observations. When trying to determine the root cause of a person's dementia, using an MRI can effectively and non-invasively screen patients for Alzheimer's disease or Frontotemporal Lobar Degeneration (FTLD), according to a new study by researchers from the Perelman School of Medicine at the University of Pennsylvania. Using an MRI-based algorithm effectively differentiated cases 75 percent of the time, according to the study, published in the December 26th, 2012, issue of Neurology®, the medical journal of the American Academy of Neurology. The non-invasive approach reported in this study can track disease progression over time more easily and cost-effectively than other tests, particularly in clinical trials testing new therapies. Researchers used the MRIs to predict the ratio of two biomarkers for the diseases - the proteins total tau and beta-amyloid - in the cerebrospinal fluid. Cerebrospinal fluid analyses remain the most accurate method for predicting the disease cause, but requires a more invasive lumbar puncture. "Using this novel method, we obtain a single biologically meaningful value from analyzing MRI data in this manner and then we can derive a probabilistic estimate of the likelihood of Alzheimer's or FTLD," said the study's lead author, Corey McMillan, PhD, of the Perelman School of Medicine and Frontotemporal Degeneration Center at the University of Pennsylvania. Using the MRI prediction method was 75 percent accurate at identifying the correct diagnosis in both patients with pre-confirmed disease diagnoses and those with biomarker levels confirmed by lumbar punctures, which shows comparable overlap between accuracy of the MRI and lumbar puncture methods. "For those remaining 25 percent of cases that are borderline, a lumbar puncture testing spinal fluid may provide a more accurate estimate of the pathological diagnosis." Accurate tests to measure disease progression are very important in neurodegenerative diseases, especially as clinical trials test new therapies to slow or stop the progression or the disease. Biomarkers for neurodegenerative diseases have been steadily improving, with new developments including spinal fluid tests detecting tau and amyloid-beta protein levels and other neuroimaging techniques developed at Penn Medicine, as part of the Alzheimer's Disease Neuroimaging Initiative. While a spinal fluid test can be used to accurately pinpoint whether disease-specific proteins are present, the test requires a more invasive lumbar puncture making it more difficult to repeat over time. And for studies using other imaging techniques, such as test measuring whole brain volume, reduced sensitivity of the measurement requires more patients to be enrolled in clinical trials for statistical power to be achieved. "Since this method yields a single biological value, it is possible to use MRI to screen patients for inclusion in clinical trials in a cost-effective manner and to provide an outcome measure that optimizes power in drug treatment trials," the authors concluded.